U.S. Sen. Maria Cantwell wants to force drug manufacturers to report exactly where their opioid drug shipments are going. The map of Washington state behind Democratic Sen. Maria Cantwell is absolutely flooded with purple dots. Every one of those dots represents a death — a fatal overdose in Washington state related to opioids, drugs like OxyContin and heroin. "It is one of the worst overdose crises in the history of the United States," Cantwell says, "and it is on track to become one of the worst public health crises in history." And that, Cantwell says, is why it's so important to fight against it. Between 1999 and 2016, over 10,000 Washingtonians died from opioid-related overdoses. In nearby Idaho, more than 1,150 died during the same period. Nationwide, more than 42,000 Americans died of opioid overdoses in 2016. That's more than automobile accidents, Cantwell points out. And that's more than gun deaths. Public officials are battling against the epidemic on multiple fronts, looking for ways to treat people who've already become addicted and looking for ways to staunch the flow of drugs that is creating new addicts. 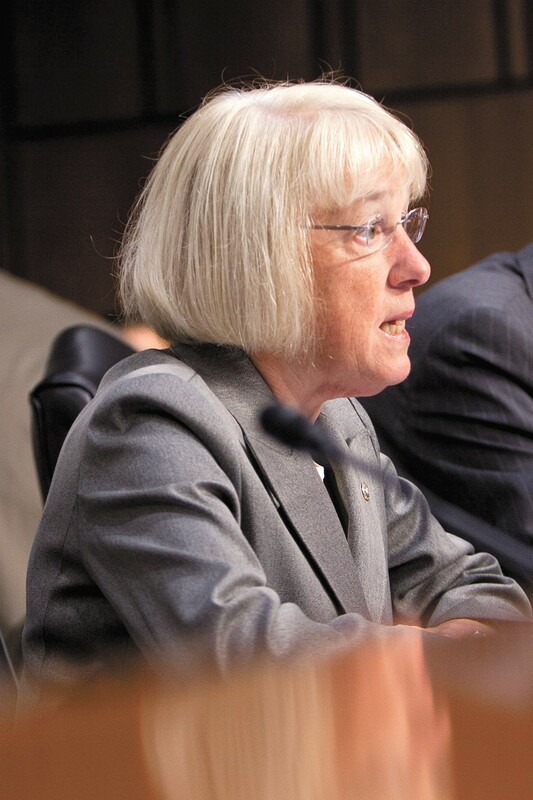 The Inlander spoke with Cantwell, Democratic U.S. Sen. Patty Murray, Republican Rep. Cathy McMorris Rodgers and her opponent, Democrat Lisa Brown, asking them two questions: What have they done to fight against the opioid epidemic? And what needs to happen next? While the federal government has made major strides in cracking down on the torrent of addictive prescription opioids like OxyContin and Vicodin, Cantwell argues there's still a big problem with legal drugs being used in illegal ways. Huge sums of incredibly addictive drugs, Cantwell says, "end up going to gang members and organizations in large quantities. A black market trade, if you will, of opioids." 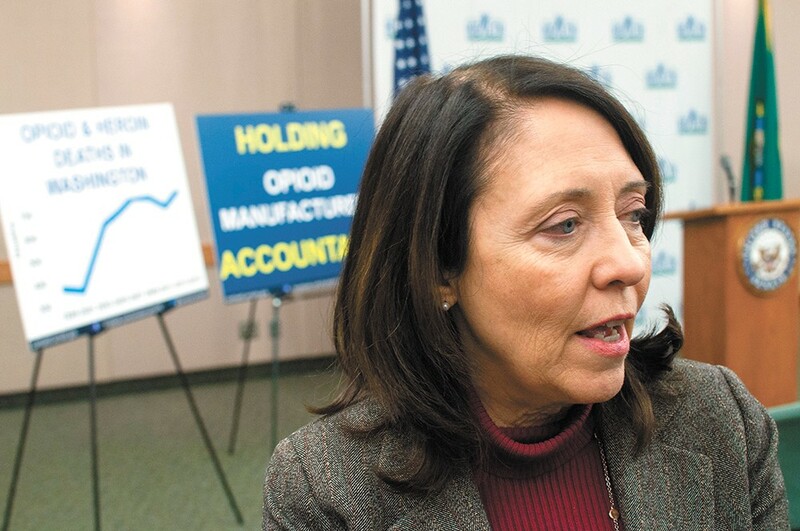 In some cases, Cantwell says, tens of thousands of pills have been directed toward incredibly small communities. In some cases, pharmacy distribution employees have been coordinating directly with gang members. Technically, drug manufacturers are already supposed to be tracking exactly where they send shipments of these addictive drugs. But with fines at negligible levels, Cantwell says some manufacturers have just shrugged off the requirement. So Cantwell introduced the Comprehensive Addiction Reform, Education, and Safety Act on Feb. 15, taking manufacturer fines from a "$10,000 slap on a wrist to a $100,000 fine for every time we find an incident of where they've placed an order that they have not disclosed and negligent distribution has happened." If it works, the Drug Enforcement Agency would be able to identify suspicious distribution patterns — then work with local law enforcement agencies to stamp out problems. "We are fighting back," Cantwell says. Of course, Cantwell understands that local communities need to have the infrastructure of treatment programs that addicts are directed to no matter where they show up needing help. "We want to be able to say, 'here we can have a treatment center, we can help people, we can get them off this addiction,'" Cantwell says. In the past few years, Murray's been a major force in both health care and budget negotiations, forging compromises in even very partisan, divided environments. She's on the committee that's been holding hearings digging into the roots and solutions to the opioid epidemic. She's championed the 2016 Comprehensive Addiction and Recovery Act, a wide-ranging bill which, among other things, armed law enforcement officers with the overdose-reversal drug Narcan and made it easier for medical professionals to prescribe the opioid addiction-treatment drug Suboxone. She supported the recent budget deal that puts $6 billion over the next two years toward helping local governments and law enforcement agencies combat the epidemic. And just last month, she introduced the Advancing Cutting-Edge Research Act, intended to give the National Institutes of Health more flexibility to battle the crisis, including by finding non-addictive painkillers. In an interview with the Inlander, she says there's a "very large" canvas of things that need to be done to address the opioid epidemic. But none of those solutions are focused on jailing addicts. "We can no longer treat this as a crime and put people in jail. That doesn't work," Murray says. "We need to treat it as a health crisis... medical services and support that people need as they come out of addiction." And there's one area that Murray — a former preschool teacher — is particularly concerned about. What about all the kids in school who have parents who are addicts? "They don't know their world is abnormal," Murray says. "But they know that something's wrong. And they have nowhere to turn themselves to get help, or help for their parents." That's why she believes there needs to be teacher training, prevention dollars and other resources delivered to schools to help kids living in opioid-addicted households. "That's a real void that we have today," Murray says. As a member of Republican House leadership — when Republicans control both Congress and the presidency — McMorris Rodgers may have more power than anyone else on the list to combat the epidemic. Like Murray, she praises the bipartisan Comprehensive Addiction and Recovery Act and is pleased with the budget deal that increases opioid treatment funding. Last year, McMorris Rodgers joined Rite Aid in announcing safe disposal sites for excess opioid medication at local drug stores in Spokane. "I think it's a great model," McMorris Rodgers says. "This is a place people can go when they have extra prescriptions and don't know what to do with them." While experts are skeptical about the efficacy of traditional treatment clinics to combat opioid addiction, McMorris heaps high praise upon Recovery Café, a treatment program in Spokane she's visited. She's impressed with the way the treatment center connected addicts with peer mentors who experienced addiction themselves in their road to recovery. 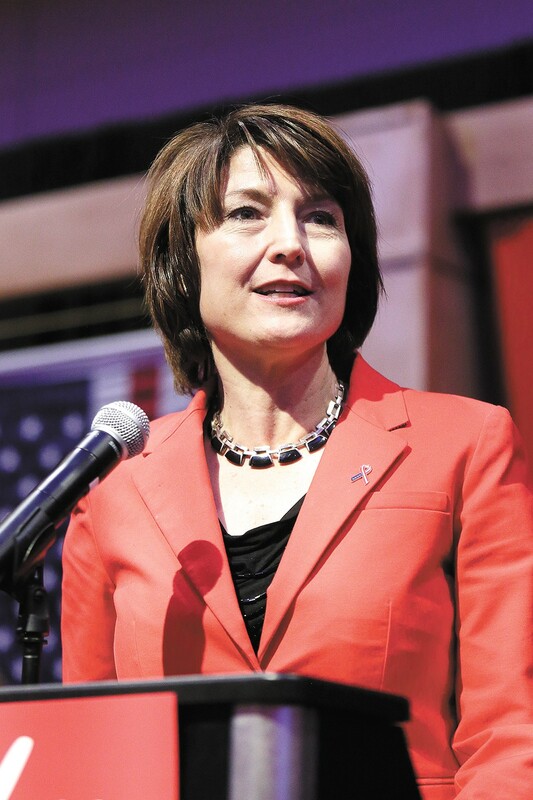 "It really was inspiring to hear the stories of recovery," McMorris Rodgers says. "Let's focus on what is working and that is how we can we can prioritize our support." She cites the Recovery Café as one example. 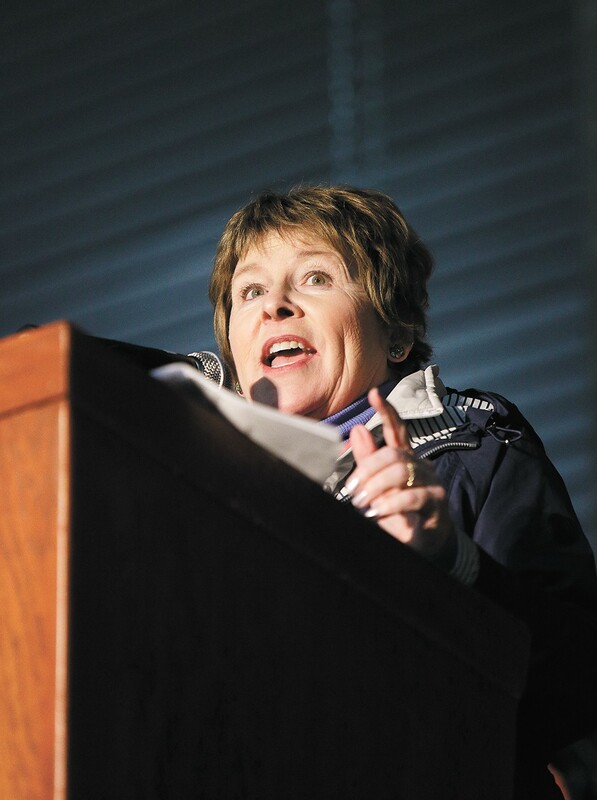 She also says she's passionate about the issue of improving treatment for drug-addicted babies and intends on connecting Francis Collins, the director of the National Institutes of Health, with the local medical community to discuss the issue. "We're still learning a lot about what their needs are and what the long-term impact is going to be," McMorris Rodgers says. "And how best to support them. I think more needs to be done." As the former chancellor of WSU-Spokane, Brown saw the creation of the WSU Spokane Medical school — where researchers are currently looking into unorthodox treatments for opioid addiction. She sees the $3 billion a year as a good start, but not enough. "It's about 10 percent of what we spend on HIV/AIDS," Brown says. "But we have a lot more death and negative impact on the economy coming from opioids." She supports Cantwell's bill, but also says there needs to be a lot more funding specifically directed toward prevention and treatment. "The treatment medications are very effective — and yet, probably 10 percent of the people who could benefit from them are actually receiving them at this point," Brown says. And that's especially important in rural communities, she says, where the opioid addiction is often deep, but treatment is hard to find. "We need an on-demand treatment opportunity in every county," Brown says. Instead of a one-size-fits-all federal solution, she says, the federal government needs to direct federal money toward the states, giving them some control over how to use it to fight the epidemic. Either way, she says, the federal government needs to do a lot better with responding to the epidemic. The original print version of this article was headlined "Let's Fix the Opioid Epidemic"